AL-KO’s Electronic Stability Control is a braking product that could seriously save your life – so we put it to the test. It’s no secret; you’ve got to be really on the ball when you’re towing a caravan. Even smaller vans can wind up exaggerating dangers on the road, and we’ve all seen what happens when things go terribly wrong. One little sway can build into a much larger problem and, the next thing you know, you’re staring at your own caravan wondering why it’s overtaking you! That’s usually the moment before you flip upside down and into a world of trouble. Obviously, it goes without saying that most of us drive as safely as we can. We keep our speed at a manageable pace, we stay out of other drivers’ blind spots, and we avoid having any blind spots of our own. But, at the end of the day, we can’t control everything. Things can happen in a blink of an eye, and how quickly we react can mean the difference between life and death. So anything that can help with safety should be considered, and that’s where AL-KO’s Electronic Stability Control (ESC) comes in. 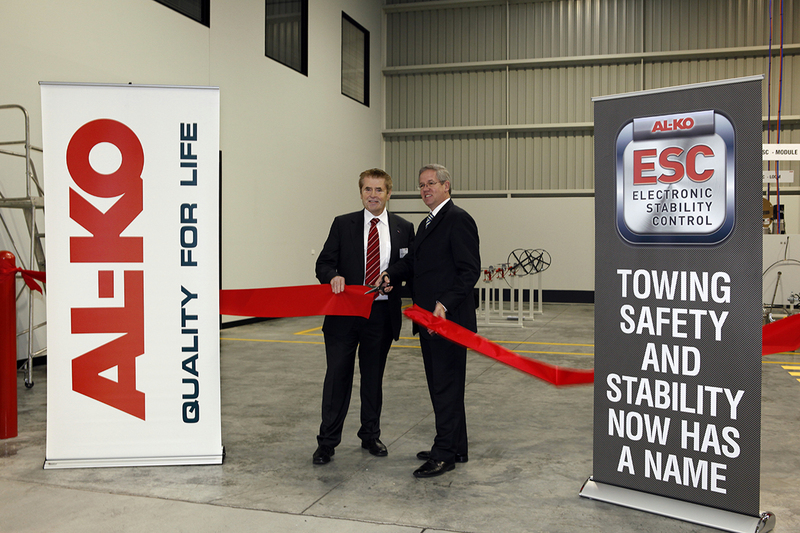 ESC was introduced in 2012 and was a revolutionary step forward in caravan safety at that time. 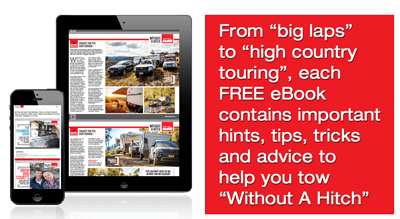 In the past five years, it has taken the caravan world by storm, being fitted as standard to new vans by many, many manufacturers, offered as an option by most others, and able to be retro-fitted to older vans as well. There are now around 300 certified installers nationwide and some insurance companies offer policy discounts for caravans with AL-KO ESC – you know it must be good if an insurance company is willing to cough up some coin! 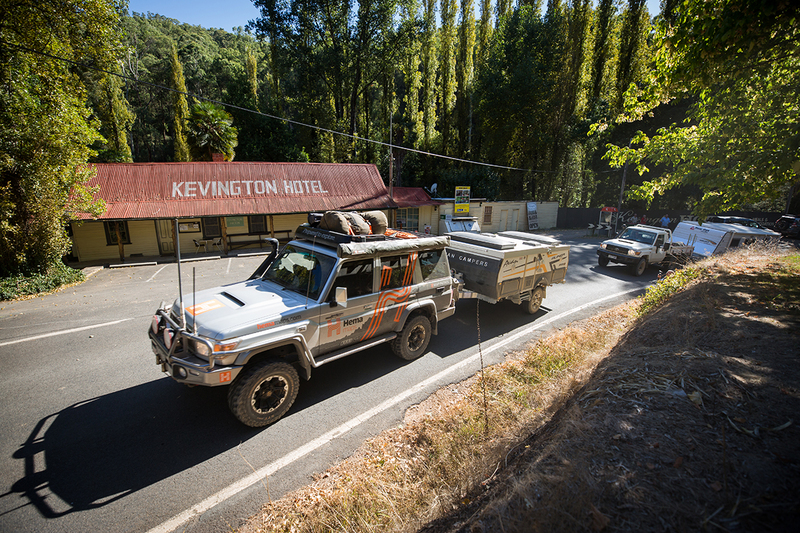 So when we decided to head into the High Country for AL-KO’s Toughest Tow Test – an area known for its twisting, winding roads – we ensured our test rigs were fitted with ESC. Let’s say a child or an animal runs out in front of you while you’re driving. The natural reaction is to swerve, much the same as if another car cuts you off. In an emergency avoidance manoeuvre such as this, you need to regain total control as quickly as possible. AL-KO ESC is designed to activate the brakes on your caravan as soon as a dangerous sideways movement is detected. The caravan brakes are held on to wipe off speed and stop in the shortest distance possible. This action also helps the van pull back in line instead of allowing the caravan’s weight to build up lateral momentum. We actually got a chance to feel the system in action after a close call with a wallaby on the way into Dargo for the Toughest Tow Test. 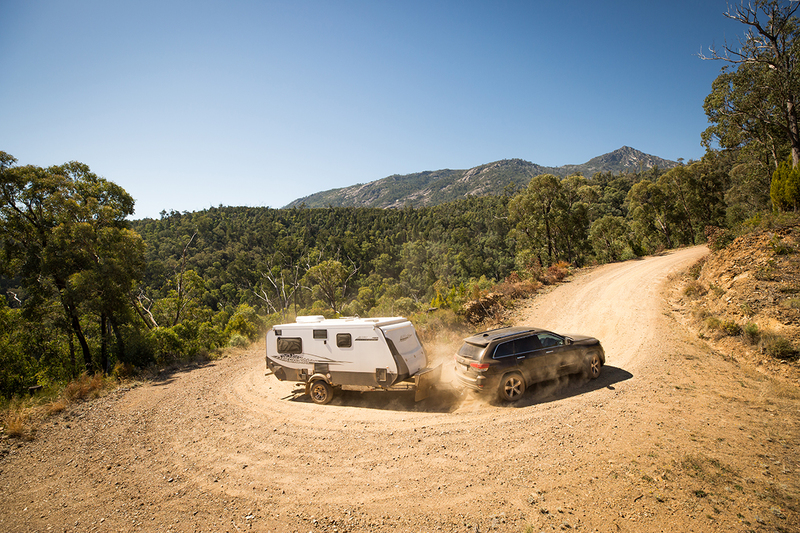 You know how these things play out – the wallaby waits until the last minute before it decides to take on a three-tonne LandCruiser with an 18ft caravan in tow! I didn’t swerve to the other side of the road or anything silly like that. But I did back off the throttle and touch the brakes midway down a slight bend, which was enough to unsettle the caravan. The ESC didn’t overreact. Instead, it applied the caravan’s brakes gently to stabilise the setup. If it wasn’t for a very slight jolting sensation, I wouldn’t have realised that the ESC was actually working in the background to make my driving skills look great! 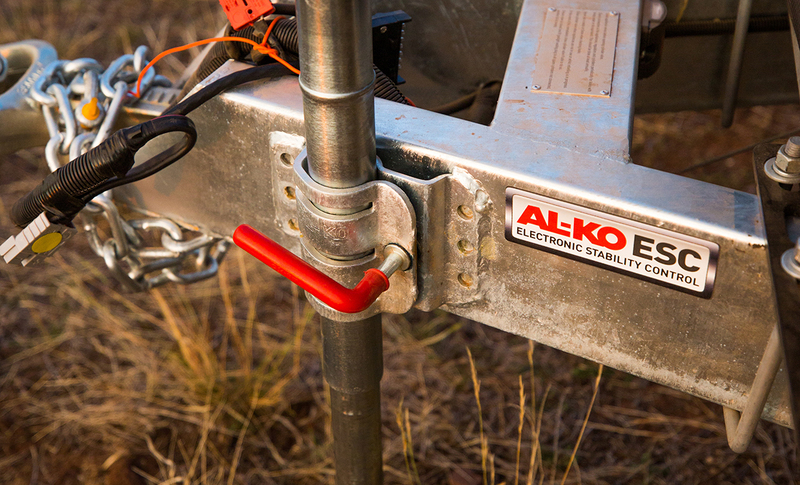 To put it simply, AL-KO ESC uses your caravan’s brakes to stabilise your entire setup in the event of an emergency manoeuvre. It doesn’t have to be a full blown aggressive manoeuvre to cause a caravan to destabilise. Things like getting caught in a semi-trailer’s slipstream can do it. Poor weight distribution, windy weather, bad road conditions and incorrect tyre pressures can all play a part, too. During the Toughest Tow Test, there were plenty of potential heart-in-throat moments, especially on those steep switchbacks the High Country is renowned for. I say ‘potential’ because the ESC often seemed to catch a problem before it started. If the van started to slide or even bounce sideways on corrugations, I would feel a slight tug from the caravan’s brakes and, hey-presto, it was straight again. If your caravan is travelling sideways, you’re in a lot of trouble. AL-KO ESC is engineered and designed to sense a critical driving situation where you could lose control well before you do. It’s not a simple sway control system, though. It’s a lot more advanced than that. It uses lateral acceleration sensors inside the ESC unit to sense any sideways movement. This could be a build-up of two small swings or one large, sudden sideways movement. These sensors are constantly monitoring for signs of a critical avoidance manoeuvre, and evaluating the data. If and when a problem is recognised, the ESC activates and applies the electric brakes immediately, which brings the vehicle back into line in a smooth and controlled manner. There are a huge number of precision calculations being made behind the scenes to ensure the ESC applies exactly the right amount of braking force while also monitoring for any instability or additional change in speed. This all happens well before you’ve even had time to react. And the system is calibrated and customised to suit your individual caravan. At the end of the day, you can’t put a price on safety. AL-KO ESC was designed in Australia for Australian conditions, which is something that always instils a lot of confidence. And it meant the High Country was the perfect testing ground for the system. While we traversed more than our fair share of hairpin turns, steep descents and slightly hairy situations, we didn’t get into any seriously dangerous towing situations – thanks to careful driving and the ESC on the back, no doubt. It’s also worth remembering that ESC is designed to continue operating while you’re off the beaten track, unlike most other similar products that will automatically switch off as soon as they sense a corrugation or two. ESC continues to operate offroad, keeping you safe at all times. One thing’s for sure, the next time we decide to take a bunch of caravans to the High Country, I bags the one with ESC fitted! 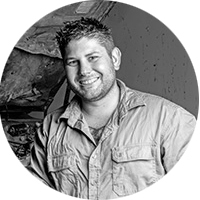 Being a mechanic by trade, he’s customising both of his Toyota LandCruisers, ‘Toot’ the Troop Carrier and ‘Uncle Grump’, his big red 80 Series Cruiser. With plenty of tough low range kays under his belt, you can bet your bottom dollar he’s learnt the art of bush mechanic fixes. In fact, Borgy reckons relaxing around the campfire after an epic day on the tracks is what 4WDing is all about, not to mention that feeling of freedom you get when you lock in the hubs!